The schools in Finham Park Multi Academy Trust will seek to move beyond collaboration and into co-construction. Welcome to Finham Park Multi Academy Trust. I hope you will find all the information you may require here or on our various linked sites. Please do not hesitate to contact us if you wish to learn more about the Trust or are considering joining a Multi Academy Trust. In March 2015, Finham Park School applied to the Department for Education (DfE) to convert from single Academy Trust status to Multi Academy Trust status. Our Business Plan was accepted by the Department for Education and Finham Park Multi Academy Trust came into existence. Schools in the Finham Park Multi Academy Trust will set out to pioneer, innovate and deliver a “World Class” education for all children from the age of 3-19 where the artificial barriers of stage and age are removed. Our education will aim to exceed the highest national and international benchmarks for academic achievement, whilst ensuring young people develop a passion for learning in all its contexts and are ready to take their place as active members of our global community. The schools in Finham Park Multi Academy Trust will seek to move beyond collaboration and into co-construction – ensuring our education is developed with and by all members to reflect the needs of our children, their families and the wider community. 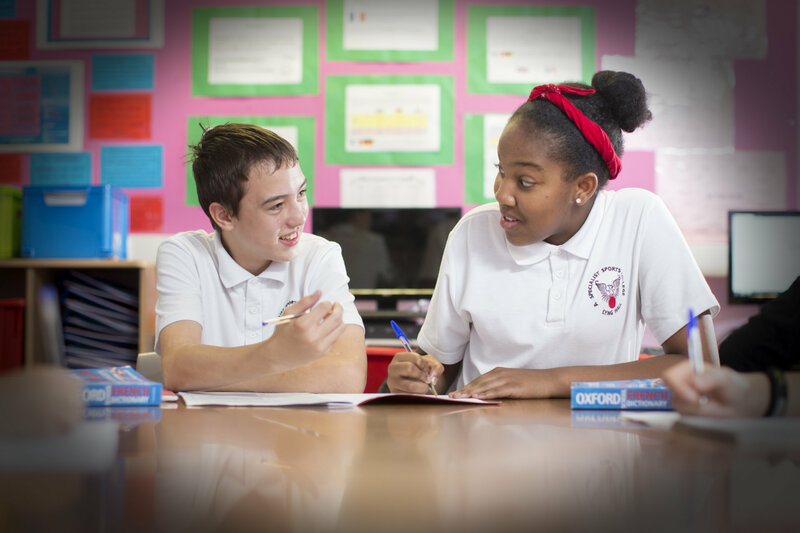 Joining Finham Park Multi Academy Trust opens up a wealth of opportunity for your school. Our Trust is built on a reputation of delivering educational excellence over many years. We are dedicated to working with all our School Leaders to co-construct experiences that lead to all our young people being part of a “World Class” education over time. For example, our Head teachers work together in a Strategic Operations Group where all contribute toward the strategic direction and operations of our Trust. The breadth of school contexts within our Finham Park Multi Academy Trust also adds huge value when we support one another to tackle the challenges faced by all schools in the changing educational environment in the UK. Our ambition is for all schools in Finham Park Multi Academy Trust to provide a “World Class” education for their young people – providing them with the time of their lives and ensuring that make strong contributions to the communities and societies they live in – locally, nationally and globally. On their way to becoming “World Class”, each school will be described as ‘Outstanding’ by Ofsted. Our School Improvement service is built around professional respect for colleagues and focuses on enabling capacity within organisations. Strategic school improvement planning and Self Evaluation are supported by senior Trust staff, including Ofsted trained individuals. ‘Quality Assurance’ activities engage a range of stakeholders and inform targeted and specialised Quality Support to bring about impact and desired outcomes for young people. This is one of the most exciting opportunities of joining our Trust and we hope you will wish to read more about our model in the ‘Quality Support’ section of this website. As a charitable company, Finham Park Multi Academy Trust prepares and publishes its accounts each year. Our financial year matches the academic year, running from September through to August. We follow the Department for Education's Academies Financial Handbook to ensure that the public money we are entrusted with is spent as fairly and efficiently as possible, and to the maximum benefit of our students. We offer a full service of financial support for all our schools. Please contact us for further details or to arrange a conversation with our Business Director, Mrs Mandy Gilmore. Our highly qualified team of Human Resources professionals are dedicated to ensuring school leaders are supported all the way from initial stages of academy conversion through to ongoing positive resolution of day to day personnel issues, recruitment and advising on policy. We offer a full service of Human Resources support for all our schools. Please contact us for further details or to arrange a conversation with our Human Resources Manager, Mrs Laura Slaymaker. Our Multi Academy Trust Information Technology (IT) Services Team offer a full range of services from strategic and technical advice to operational support and a dedicated ‘Helpdesk’. Finham Park Multi Academy Trust schools utilise the FROG Virtual Learning Environment (VLE) platform to support our inter-school co-construction activity. These exciting curriculum developments, led by subject specialists from all schools is transforming our approach to sharing pedagogical practice, improving the education for our pupils and reducing workload for teachers. We offer a full service of IT support for all our schools. Please contact us for further details or to arrange a conversation with our Senior IT Services Manager, Mr Jason Hart. Our Facilities Management team will work with your current Site Service Officers to ensure your school environment is both maintained to a high standard and also benefits from further development over time. Finham Park Multi Academy Trust schools benefit from a huge range of specialist facilities across the group and we have enjoyed considerable success in working with partners to secure additional funding, for example from the Education Funding Agency’s Condition Improvement Fund (CIF); this has supported boiler replacement; roof replacement and toilet refurbishment over the last year. 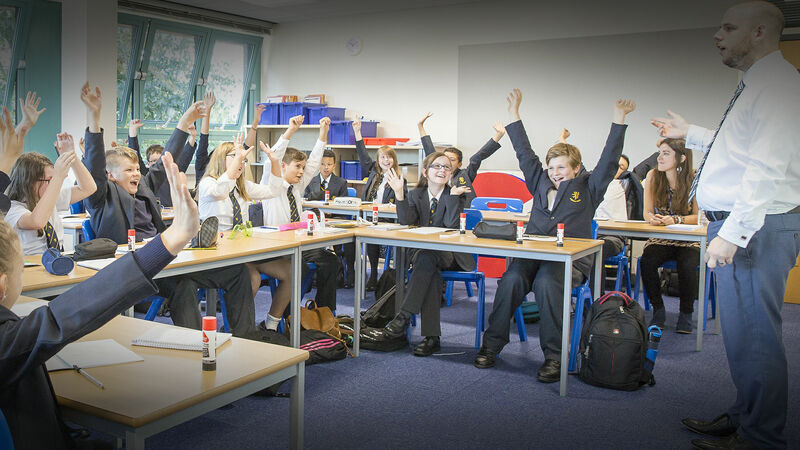 We offer a full service of Facilities Development support for all our schools. Please contact us for further details or to arrange a conversation with our Facilities Manager, Mr Rui Martins. Our ambition is for all schools in Finham Park Multi Academy Trust to provide a “World Class” education for their young people – providing them with the time of their lives and ensuring that make strong contributions to the communities and societies they live in – locally, nationally and globally. On their way to becoming “World Class”, each school will be described as 'Outstanding' by Ofsted. Our School Improvement service is built around professional respect for colleagues and focuses on enabling capacity within organisations. Strategic school improvement planning and Self Evaluation are supported by senior Trust staff, including Ofsted trained individuals. 'Quality Assurance' activities engage a range of stakeholders and inform targeted and specialised Quality Support to bring about impact and desired outcomes for young people. This is one of the most exciting opportunities of joining our Trust. Finham Park Multi Academy Trust will support all member schools in developing their own expectations and models of delivery for School Level Quality Assurance processes. These will vary from one school to another and will be decided by the Headteacher. The Executive Headteacher will support each school in gaining an external perspective of their work by coordinating Multi Academy Trust activities aimed at celebrating what is working well and identifying specific areas for development. Business Director meeting with Headteacher every month to review financial management / budget progress etc. Additional information and Hyperlinks to Online training will become available on this website over time. Individual school learning portals (FROG etc.) will also be used to highlight and share effective practice.